We are a reputed organization that is engaged in manufacturing, supplying, importing and exporting a vast array of Processing Spares. The range offered by us is manufactured under the close supervision of our experienced professionals using high-grade material. 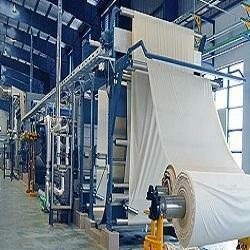 Superior quality material that is sourced from vendors of high repute is used in the manufacturing process. Our range consists of Stenter Chains, Fabric Inspection Machines, Textile Motor Pumps, Single & Double Cloth Folding Machines, Fabric Rolling Machines and many more. 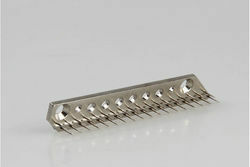 With our expertise in this domain, we are offering a wide range of Various Pin Plates to the customers. These are manufactured with utmost care, under the guidance of our expert professionals. Available at market leading prices, these can be customized in terms of size, suiting variegated choices of the patrons. Before delivering into the market, these plates are thoroughly checked by our quality controllers, ensuring their complete flawlessness. 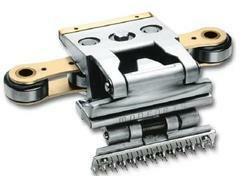 We are engaged in offering a high quality range of Stenter Clips and Chains. Our offered products are manufactured using the supreme grade raw material under the supervision of our deft professionals. We provide these parts to the patrons in various specifications such as sizes, dimensions and others as per their various requirements. Moreover, patrons can avail these from us at industry leading prices. We are a dealer of a quality assortment of PIV Gearboxes, which is obtained from reliable manufacturers. Our range is highly acknowledged by our esteemed clients, who are based all across the domestic and international market. Size : 0 – 6. Made available by us is a quality-approved array of Temple Cylinders. These cylinders are manufactured at our state-of-the-art infrastructure facility using high quality material. The material used in manufacturing process is sourced from vendors of high repute. Besides, we ensure timely delivery of the consignments at clients' destinations. Ours is a paramount organization that is engaged in offering a qualitative array of Processing Replacement Spares 2. manufactured using high quality material, these spares are in adherence with international quality standards. Post production, these spares are thoroughly inspected on certain parameters of quality to ensure their defect free nature.